Sport is an important part of so many of our lives. But for some young girls, it’s a luxury their parents can’t afford. This is Aussie. She’s 11 years old and lives in Nhill, Victoria. Aussie lives with her family who, with other members of the Karen community, fled their home on the Thai-Burmese border to leave behind the Burmese military regime. For Aussie and her family, organised sport was never a thought, let alone an option. Moving to Nhill changed this. 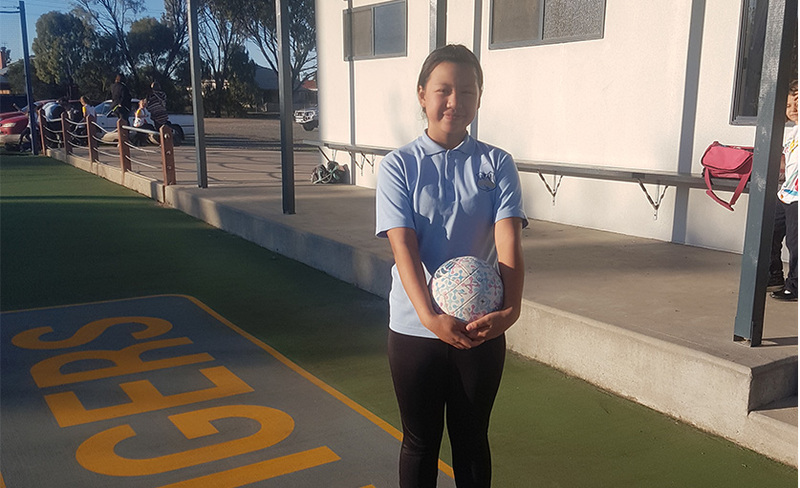 Aussie first picked up a netball through the Inclusion NetSetGO program. She loved every moment – the game, the community and the friendships she made. Aussie quickly became a leader and role model for other Karen girls. But this year, Aussie turned eleven – too old for NetSetGO. With her parents working hard to support their family, netball registration fees were just too much for them. Emma Dickson, from Nhill and District Sporting club, reached out to the Confident Girls Foundation to share Aussie’s story. And soon, Aussie was back on the court competing against other girls from Nhill community. “Aussie and her family are such valuable members of the Nhill community. She’s quickly become a huge part of the club and is now our club mascot,” said Emma.